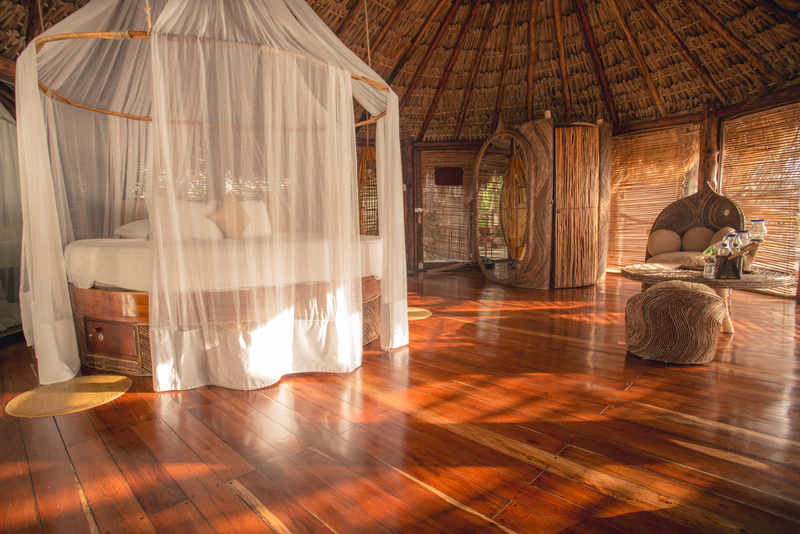 Staying in one of the Sky Villas is an unforgettable experience. 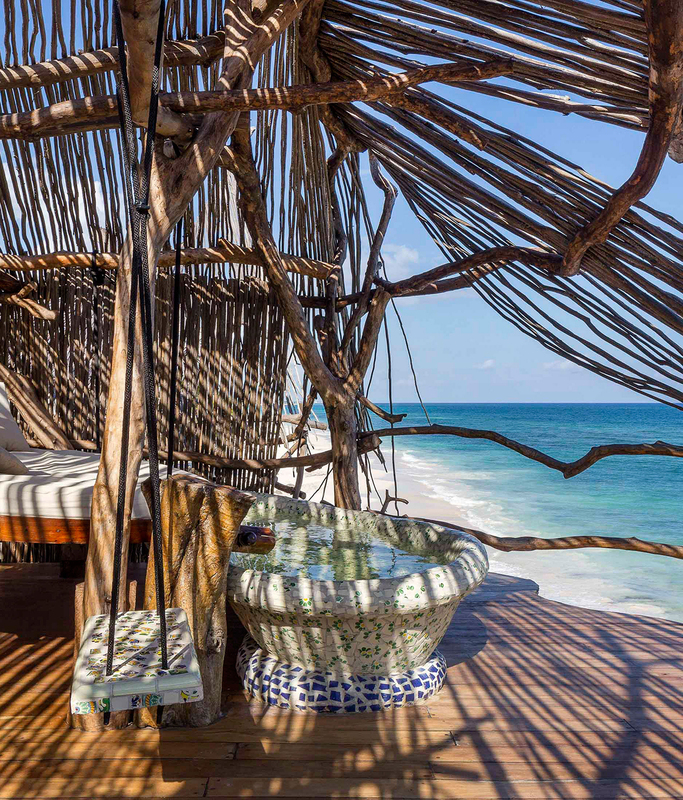 Standing gracefully on a cliff that faces the ocean of AZULIK Tulum, they were dreamed up for lovers of the sea who wish to contemplate its infinite beauty. 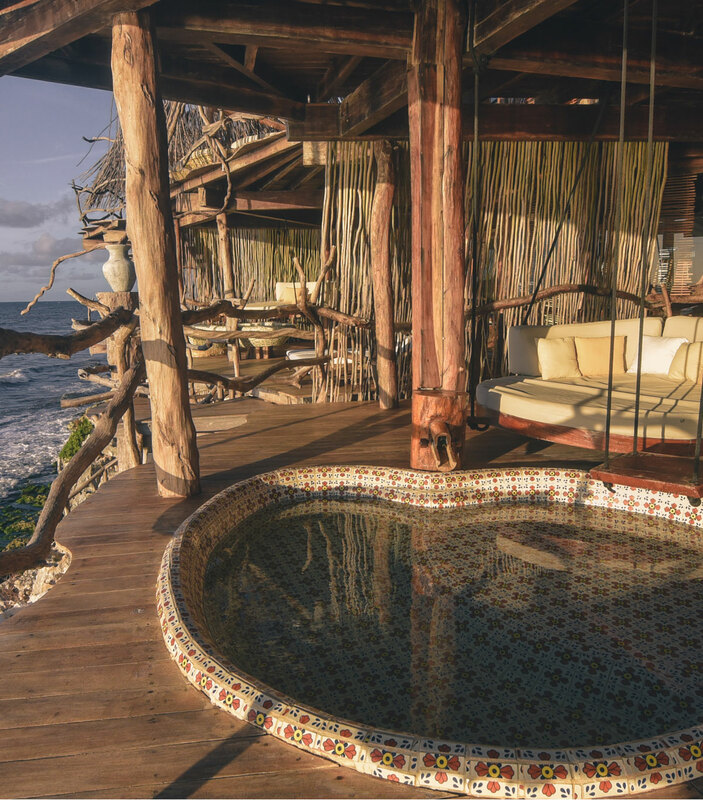 Wake up to the rising sun over the Caribbean Sea, catch the healing power of the ocean wind as you relax on the hanging bed, and watch the stars from your private terrace as they appear to illuminate the night. 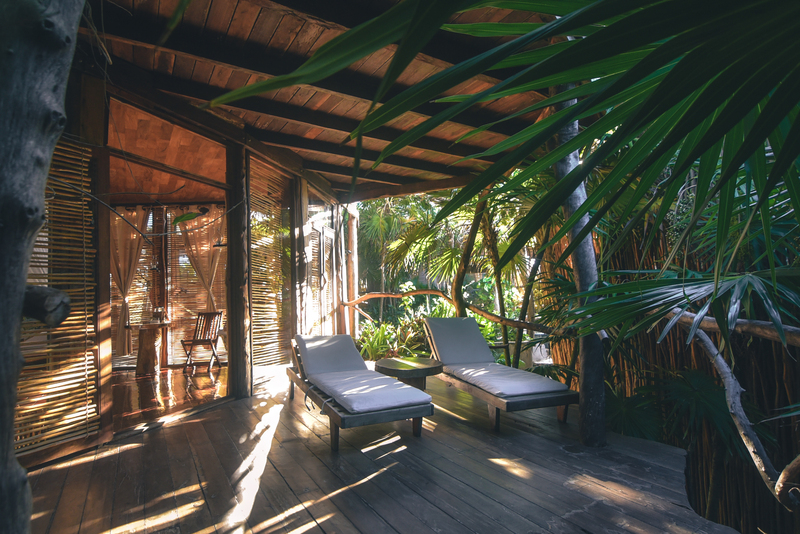 Located on the second floor of our wooden ocean-front building, these villas are the definition of a getaway in complete communion with nature. 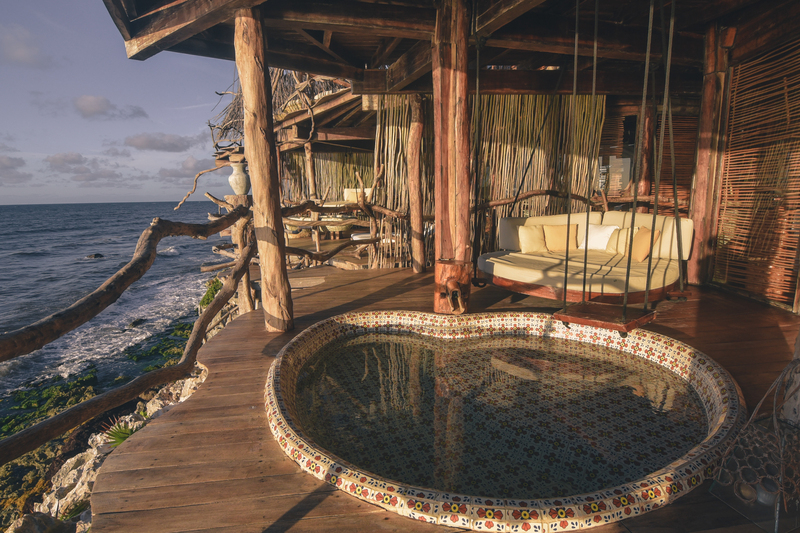 Access not suitable for people with disabilities. 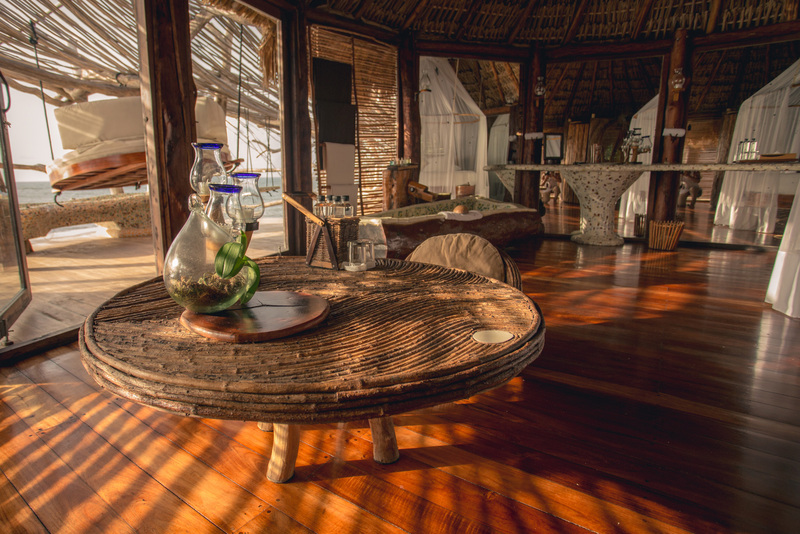 When you get into our artisanal eco-villas, you get the opportunity to enjoy a unique and magical environment. 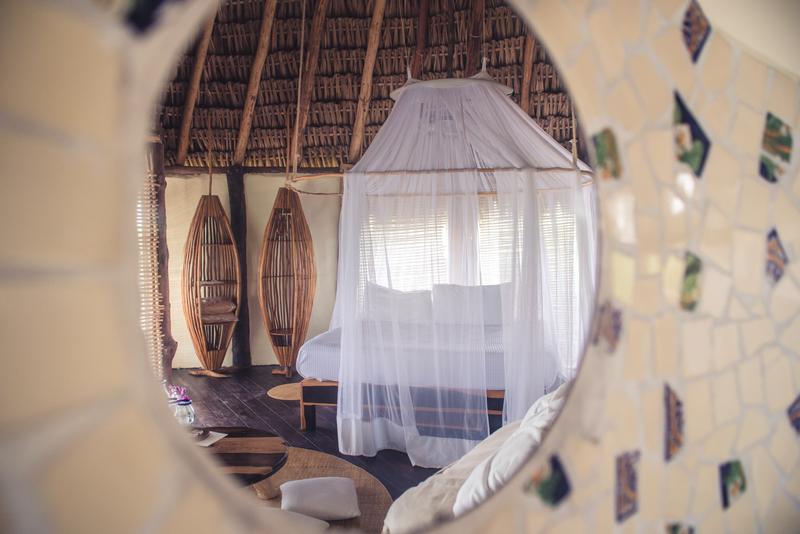 They are handmade constructed and for this reason every villa has a personal touch that responds to artistic, ecological and spiritual patterns of immense value. 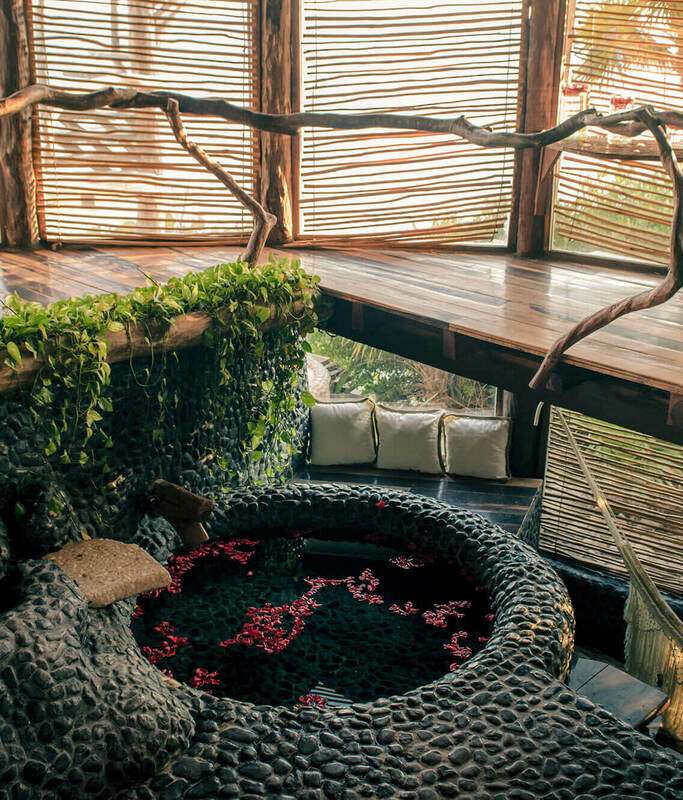 The Aqua Villa is one of our most cherished habitable sculptures and an ode to tasteful design in harmony with the environment. 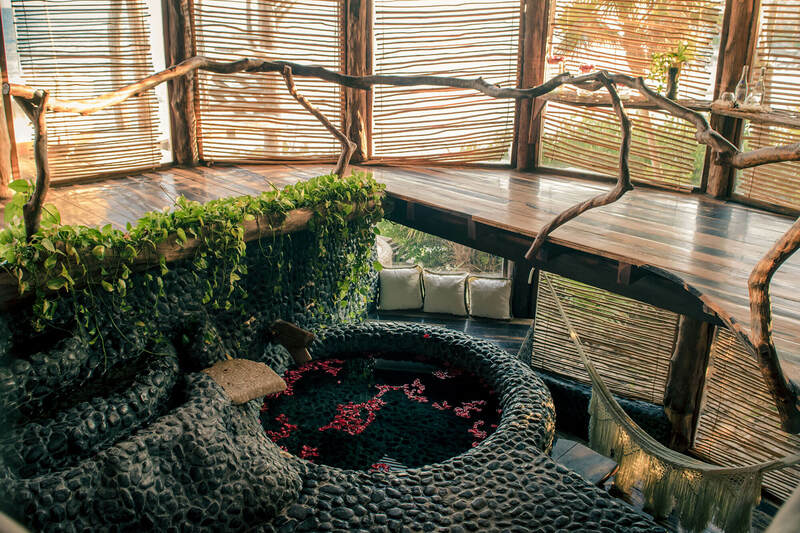 Empower your spirit with the vibrant energy of the Aztec Villas. 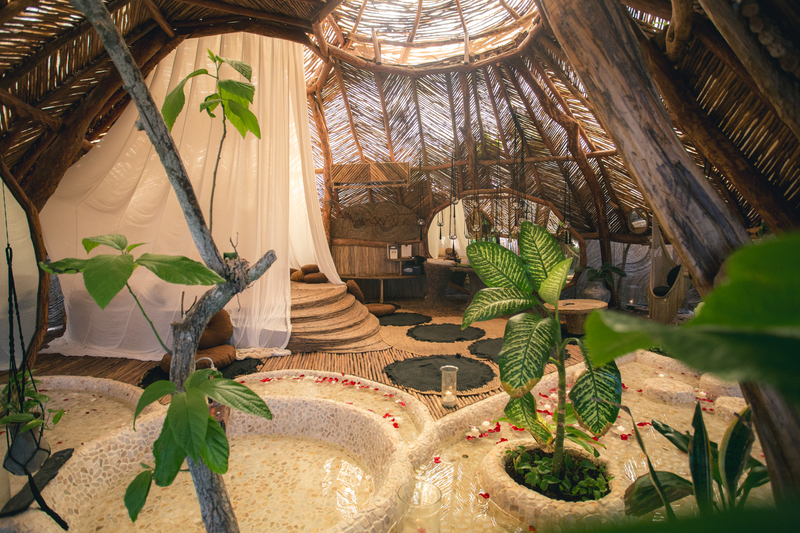 Located in the southern area of AZULIK Tulum, they are ideal for travelers who wish to experience the rejuvenating atmosphere of the elements. 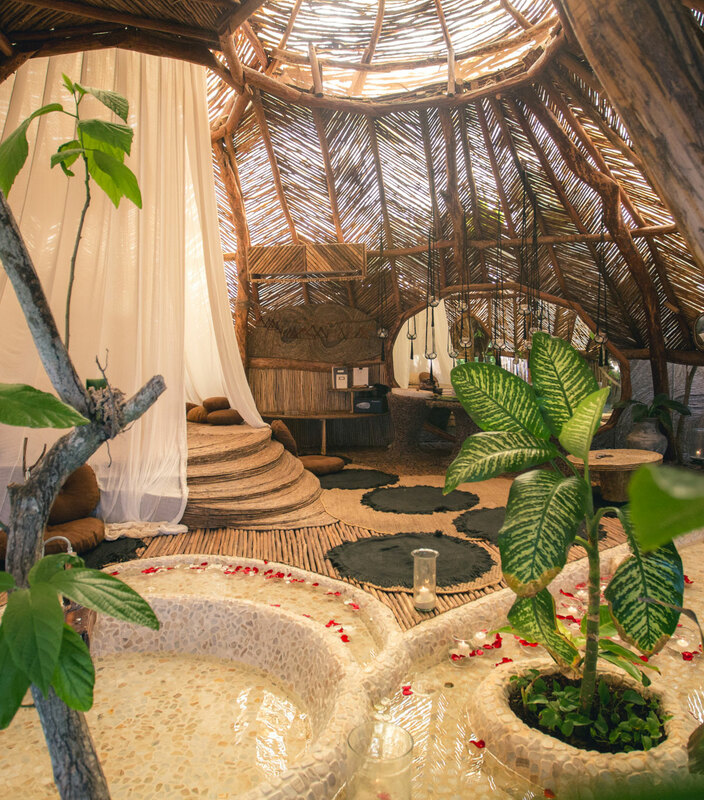 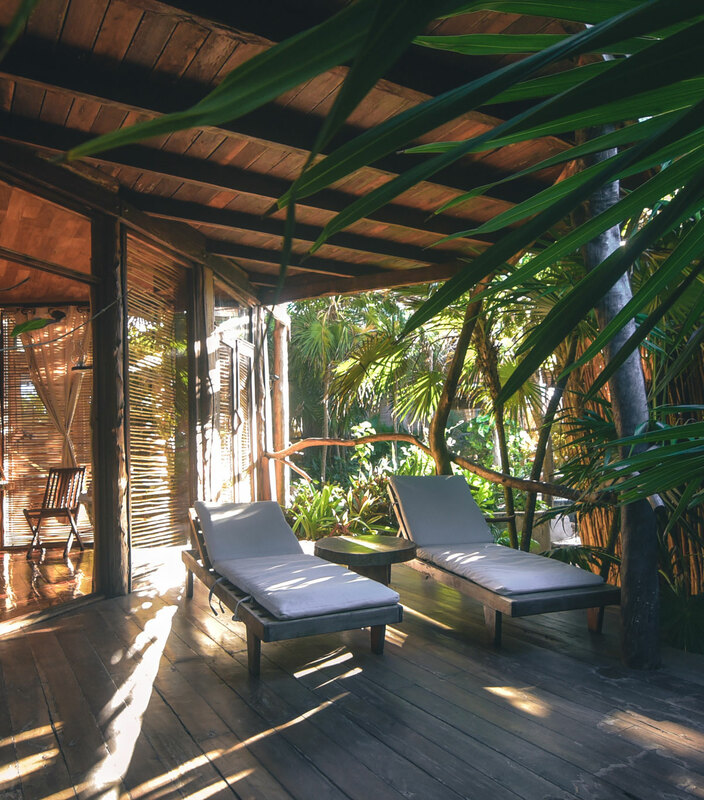 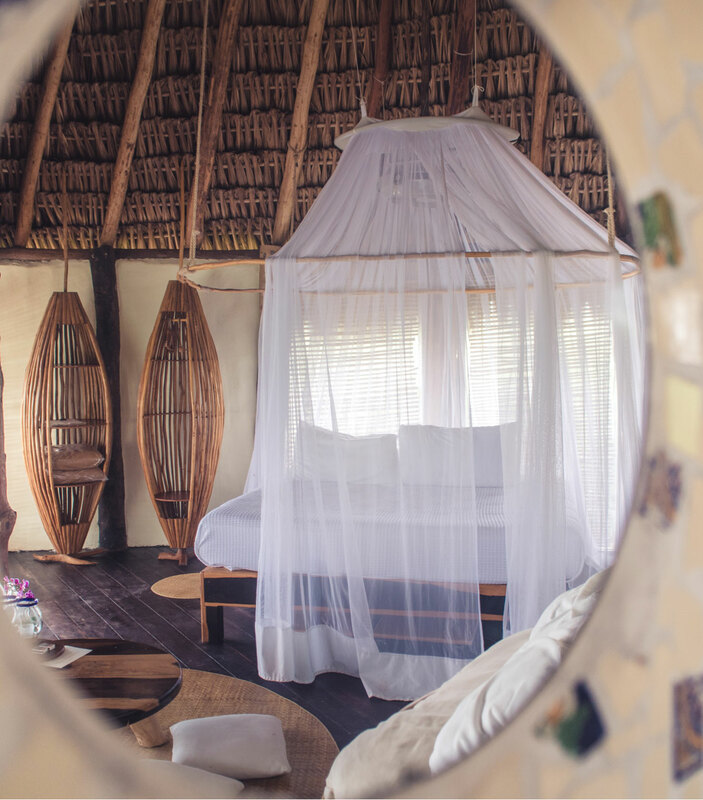 Deeply connected to the land under AZULIK Tulum, our Jungle Villas are designed to enhance your feeling of reconnection with nature. 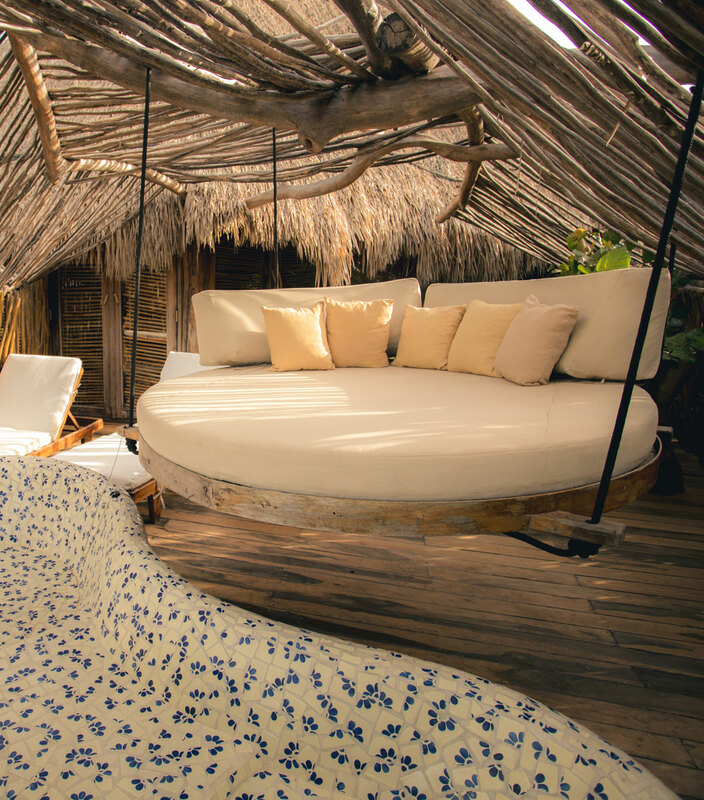 The Mayan Villas of AZULIK Tulum represent the search for creativity, a pathway to find inspiration, optimism, vitality and freedom. 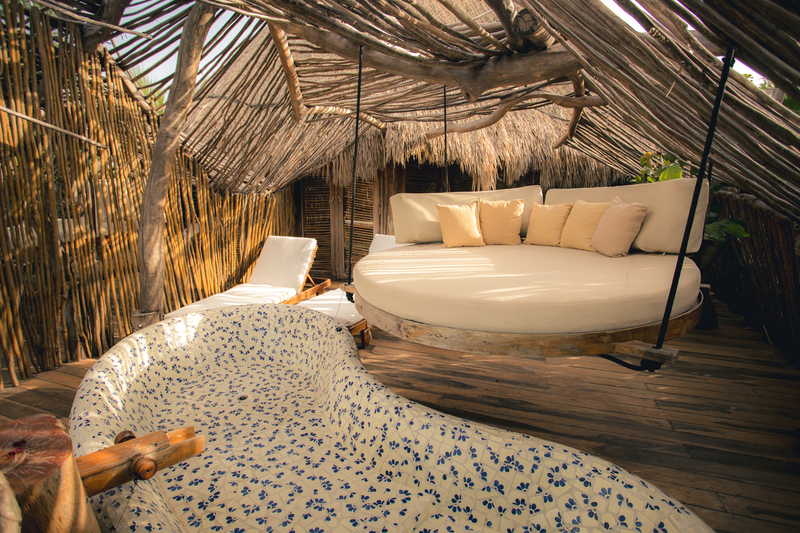 Staying in the main villa of AZULIK Tulum is living in a dream by the sea. 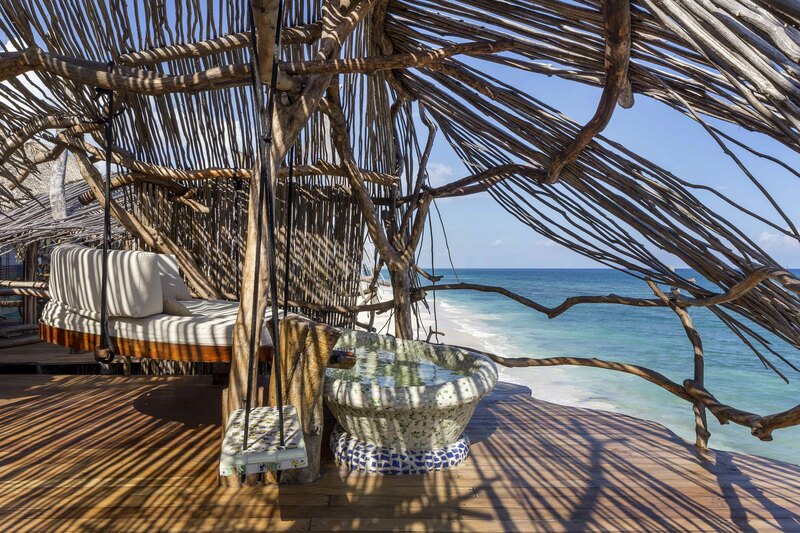 Right where the waves touch the coast, the Sea Villas are the perfect spot to build intimate bonds with the power of nature.